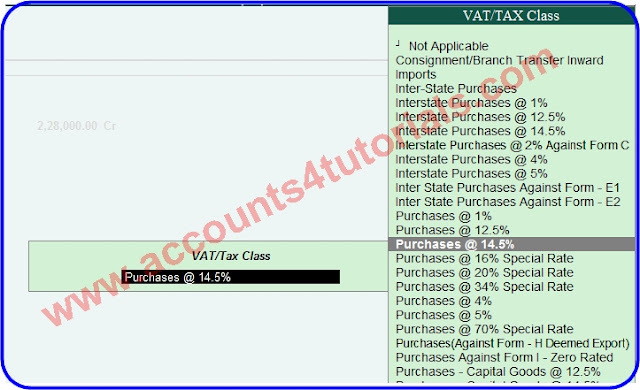 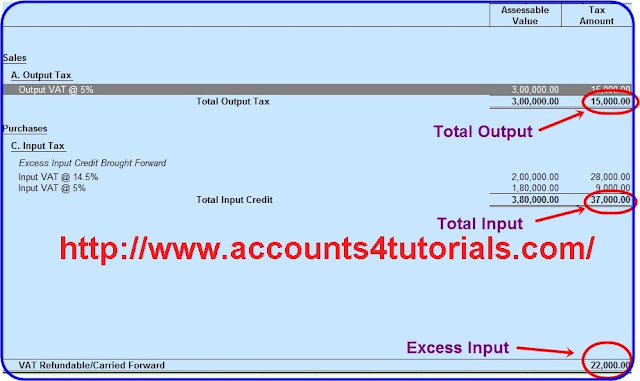 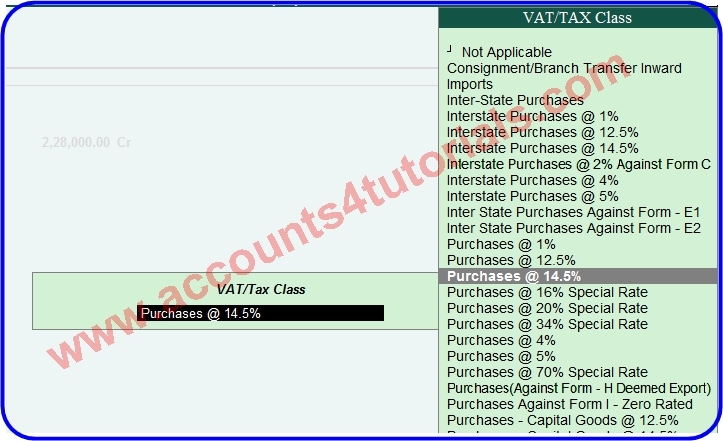 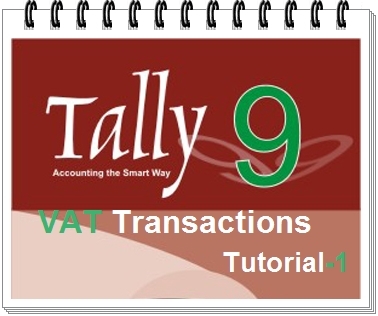 This tutorial is very helpful for your regular VAT Transactions. 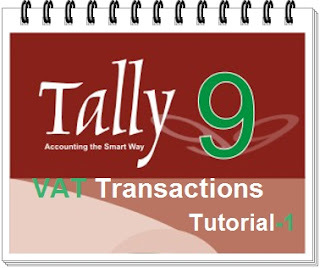 I have posted number of VAT Transactions tutorials in this website. 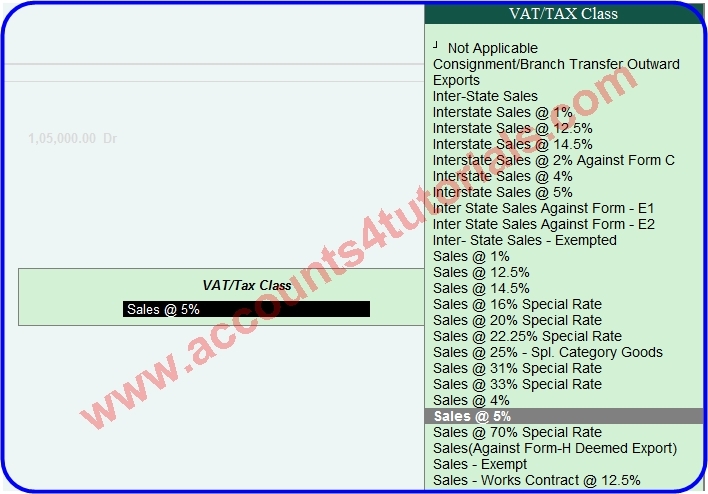 Use this VAT transactions entry technicians and skip manual VAT Calculation work and reduce mistakes. 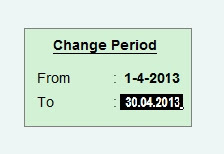 XYZ Company April 2013 Transactions. 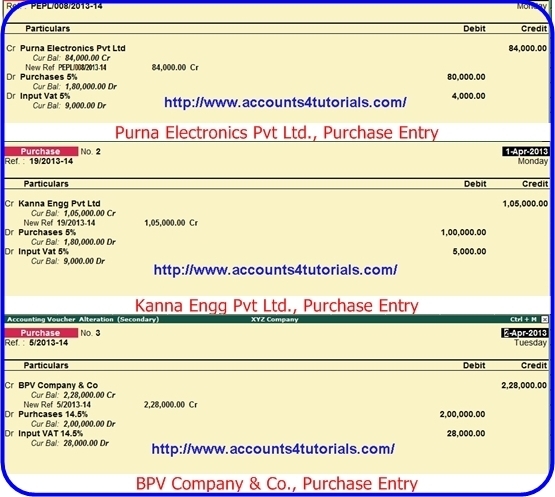 XYZ Company purchased material from M/s.BPV Company & Co for Rs. 200,000/- + Vat 14.5% Rs.28000, Invoice No.5/2013-14. XYZ Company sales material to M/s.Rexi India Pvt Ltd., for Rs.100,000 + VAT 5% Rs. 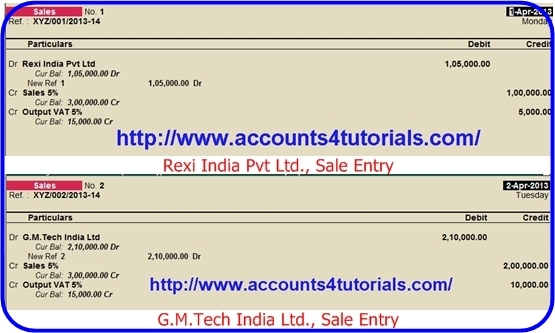 5,000, Invoice No. 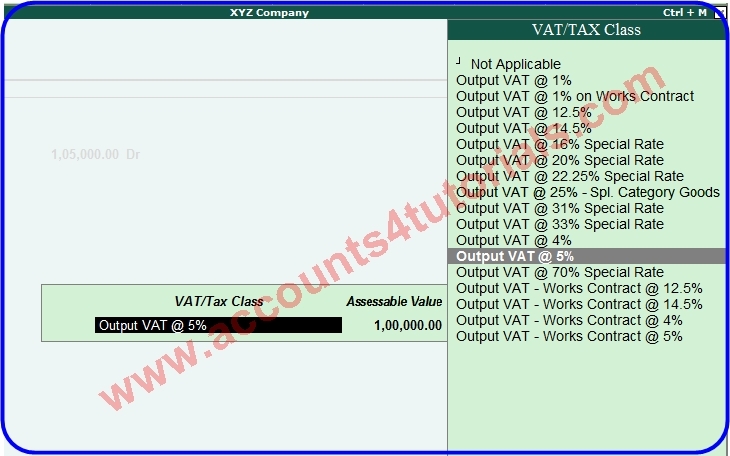 XYZ/001/2013-14. XYZ Company sales material to M/s.G.M.Tech India Ltd, for Rs.200,000 + VAT 5% Rs. 10,000, Invoice No. 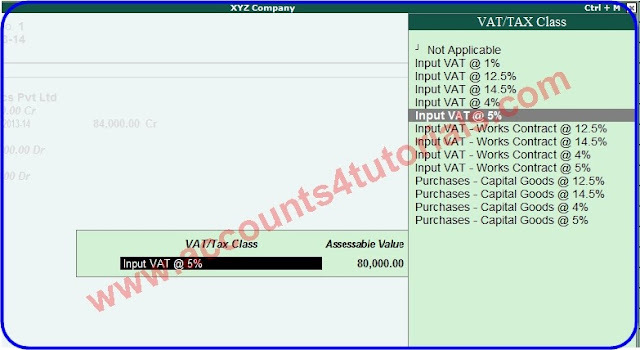 XYZ/002/2013-14. After entered the all three VAT Purchases transaction in tally, the transactions are look like this. 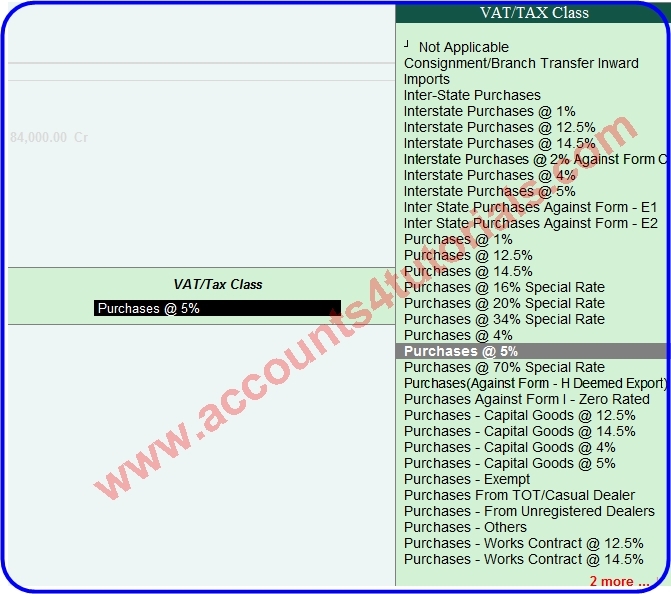 After entered the all two VAT Sales transaction in tally, the transactions are look like this. Press Alt+F2-> Change Date From 01.04.2013 To 30.04.2013. 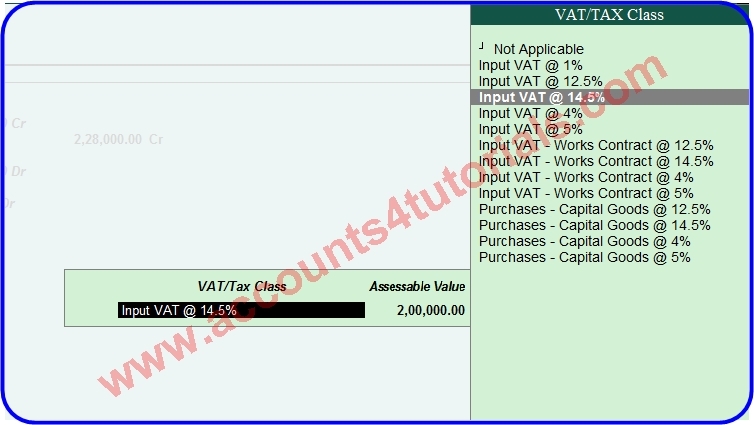 Information is valuable and can be followed.